I've been loving my soaps this month mainly coronation street and Home & away. I even had a little cry when Kylie got killed in Coronation Street....I'm a right emotional person at stuff like that haha. I'm not too impressed with Home & away at the moment either, I mean seriously it takes so long to get Ricki & Nate together......just to split them up a few weeks after being married, not good! These are the 3 songs that I've been listening to the most in the month of July. For the month of July I've been reading Charlotte Crosby's book, I think she is wicked and reading her book just makes you laugh alot! She don't hold back and tells you exactly how things happen in her own words, exactly like she does on Geordie Shore. I've mainly been taking pictures of my bedroom this month and the parts of it that are finished as I'm hoping to get a before + after bedroom blog post up very soon. I've literally just got the TV area to finish off and then that blog post will be up. It's mainly been purchasing birthday presents for family this month as there are quite a few birthdays coming up soon, so I'm getting ahead of myself with the presents part this year. 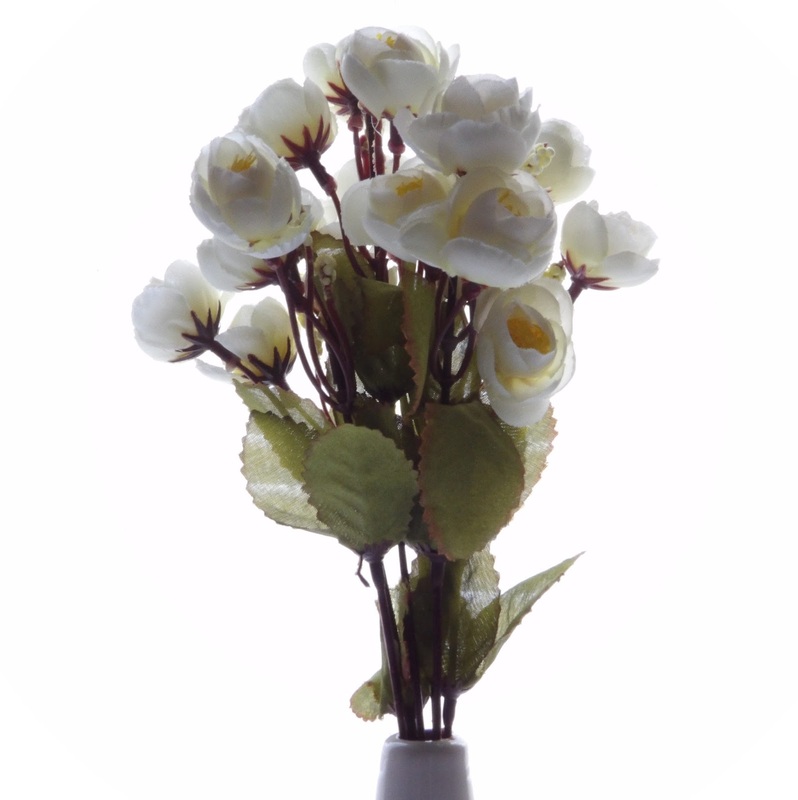 I also purchased those artificial white roses in the main blog photo although they did take ages to come as they were sent from China. I won't lie but I'm addicted to eating porridge with chopped up strawberry's in at the moment, I usually eat that of a morning and find that it fills me up till about 2-3pm which is good. 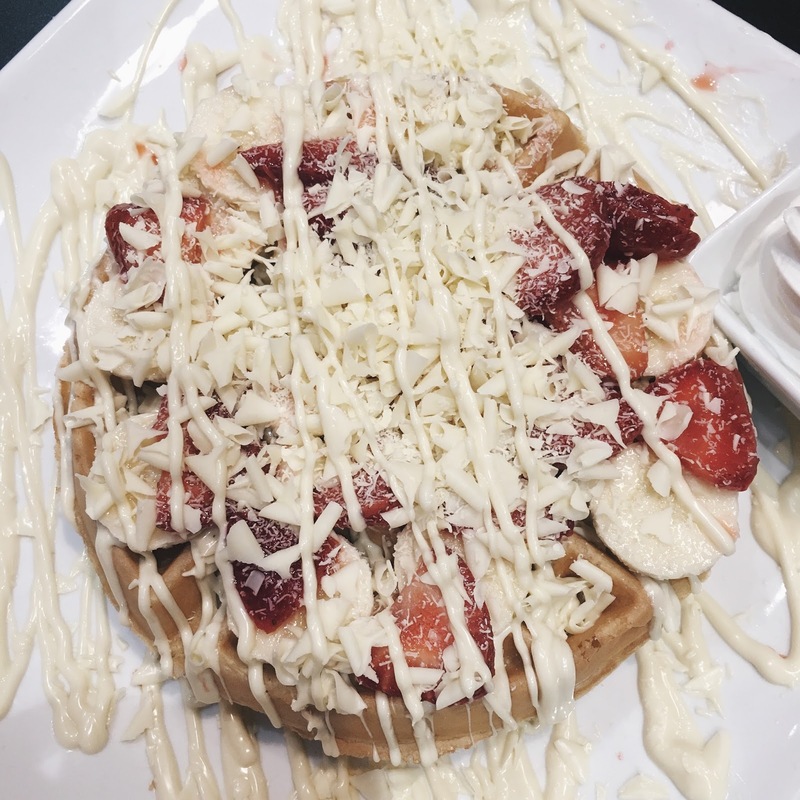 I also went to a place called 'Creams' in Bexleyheath this month and had the most amazing waffle with strawberry's & bananas with white chocolate drizzled over the top....I will insert a picture below for you to see. I've really been trying to go through my wardrobe this month and wear some of the clothes that I haven't worn in ages. So I've gone through and found some really nice tops and trousers that still have there tags on (oops! ).....I really need to stop buying more clothes when I don't actually need them. I haven't really played many games on my iPhone this month infact apart from 1 game I've actually deleted most games off of my iPhone now.....go me! I've finally got around to going through all my emails and unsubscibing to all those useless newsletters that I don't even remember signing up for. Which means my email account is now looking alot more tidier. I recently brought 3 photography books from 'The Works' shop as they were having a big clearence sale to make way for new stock. I'm getting my new camera in a few days time so really wanna learn how to take better pictures with it.